On 4 April 2016 the U.S. Senate gave its unanimous (yes, unanimous) approval to the Defend Trade Secrets Act (DTSA), amending the Economic Espionage Act (EEA), the aim of which is to strengthen the position of the holders of trade secrets by granting them protection, through federal legislation, comparable to that afforded under trademarks, patents and copyright. The bill now has to go through Congress, where surprises are not to be expected as it would appear that opinion, including that of the White House, is undivided on the question that this is an issue which has a bearing on the economy of the nation and warrants the closest attention. This new law represents one further advance along the long road that the U.S. has already traveled in the protection of trade secrets. Once case law, with roots in the eighteenth century, set about defining and circumscribing the concept, the States of the Union began adopting laws for the protection of these intangible assets. 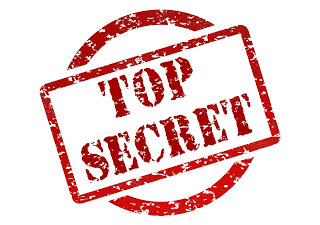 More case law has been generated unceasingly through to the present day, but the various state laws were subsequently supplemented with a federal law, the Economic Espionage Act, which further harmonized the concept and the fundamental elements in the protection of trade secrets. However, the Economic Espionage Act had certain limitations, as it was only applicable in cases of criminal infringements committed by foreigners. Furthermore, the protection provided did not extend to various aspects of misappropriation of trade secrets. Under the system laid down in the DTSA, complaints relating to local goods or services will be lodged with a state court, but cases relating to interstate or international commerce may instead be litigated in federal courts. 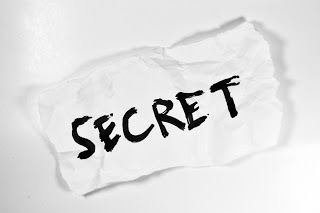 The DTSA sets uniform rules as regards the definition of a trade secret, what is to be considered unlawful, damages and injunctions. It also stipulates that the term for commencing the action shall be three years from the time that the infringement of the rights became known. In Europe, meanwhile, the Trade Secrets Directive, which was proposed back in 2013 and aroused criticism of a not entirely comprehensible nature in certain quarters, was finally approved by the European Parliament on 14 April 2016, although two more years will still have to go by before it is actually implemented in the legislation of all the Member States. The comparison between the initiatives taken on the one side of the Atlantic and on the other should lead us to reflect, in this particular matter and in others, on how legislation contributes to the prosperity of nations. The protection of trade secrets is of major importance for technological development and affects not only companies but also state research institutions. The new directive should provide us with a better legal framework than that hitherto offered by each state individually and should harmonize the protection afforded. However, it will also oblige us to tackle many issues, for the appropriate protection and defence of trade secrets, even before it is transposed into Spanish law. I hope to have the opportunity to speak of that on another occasion in the relatively near future.